When Ava & Oliver’s Sunday school teacher informs the class that real animals will be used in the seasonal Nativity play, the children can barely contain their excitement. Animals can be unpredictable so how will these ones behave. Buster, the dog doesn’t seem to be at all phased by the new additions to his life. As long as he is with his best friends he is happy! Will all go to plan or will there be some mishaps along the way? Will Bertie, the parrot behave himself? Who knows! One thing is for sure. Ava & Oliver will join in the fun and have a wonderful time. The children make new animal friends in this lovely Christmas story that children will enjoy again and again. 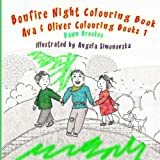 Beautifully illustrated throughout, this book is suitable for early readers or for bedtime story reading to children by parents or older siblings. 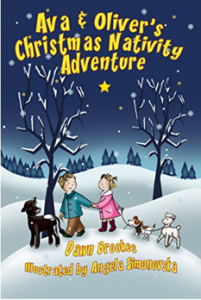 This is the second book in the Ava & Oliver adventure series. 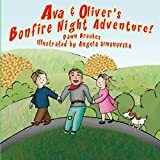 A second accomplished and fun story about the loveable friends Ava and Oliver! As a school teacher, I’m looking forward to reading this with my class of 9-11 year olds and I’m sure they’ll adore it as much as the first one!